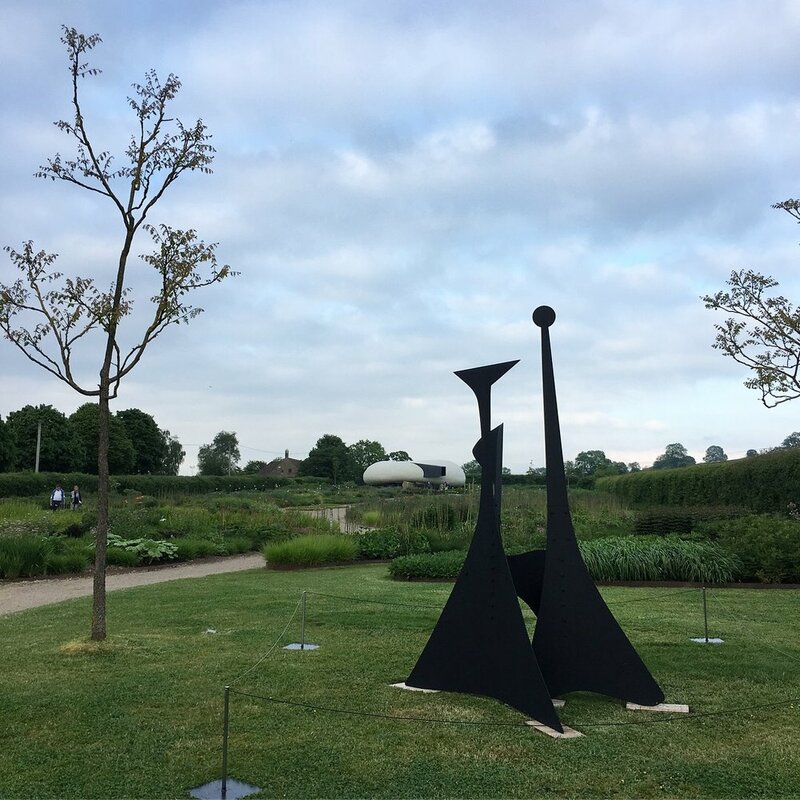 Hauser & Wirth Somerset is proud to present a major solo exhibition of works by Alexander Calder (1898 - 1976), the majority of which have never before been exhibited in the UK. Known primarily for his invention of the mobile, the exhibition 'From the Stony River to the Sky' runs through all five gallery spaces and the gardens at Hauser & Wirth and includes wire sculptures, carved figures, stabiles, standing mobiles and oil paintings by this pioneering and influential twentieth century artist. The exhibition runs from 25th May - 9th September. Click the link to visit the Hauser & Wirth Somerset website to find out more about the exhibition and visiting.